We've covered Dauntless a few times in the past, and Tally even wrote up some impressions of the game last fall when it first entered Closed Beta. All in all, we found the game to be more approachable and easy to hop into than Monster Hunter (though World did a lot to address those particular issues). I haven't spent much time in it since that stream, but after playing a lot of Monster Hunter World this past month and a half, I'm curious to dive back in and check it out again. I'm always up for a good hunt! The Dauntless Open Beta will be available as a free-to-play experience with an in-game store supported by a variety of cosmetic and vanity items. 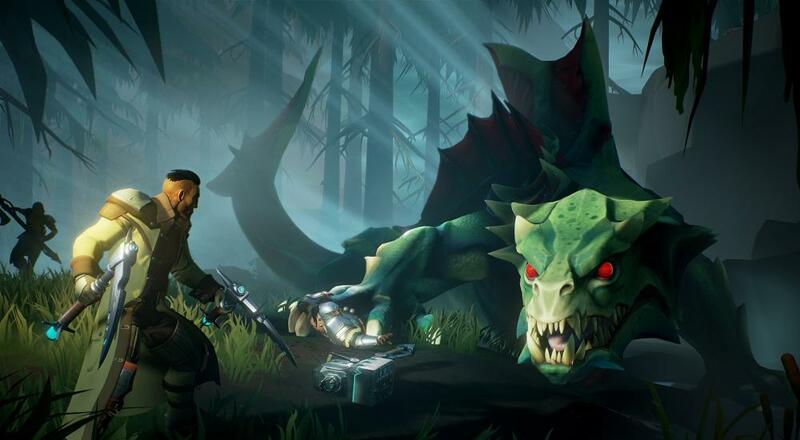 Phoenix Labs has ensured there are no paywalls or pay to win mechanics in the Dauntless experience, and players will not be able to purchase any form of loot boxes. Dauntless is available on PC. If you're interested in joining the Open Beta, then all you need to do is wait until May 24 and head over to the official website to download the game. You can hit up the website now to get first dibs on your Slayer name (I believe "BeheMOTHSMoreLikeBeheBUTTERFLIES" is already taken) and, of course, you can still join the Closed Beta now by buying one of the Founders' packs. Four player online and LAN co-op are supported in the various hunting missions upon which you can embark.